When I was a little girl, my friend’s mother scolded her in front of me, “Be careful what you do. You may be the only Bible someone ever reads.” Her correction stuck with me. When I see people being awful and sometimes even using scripture to justify hateful words and actions, I feel shame. If these terrible, mean-spirited rants are the only things people hear, then no wonder they’re not interested in learning about Christianity. Why should I share the good news? How can I counteract these messages of hate and condemnation with love and grace? Jesus has asked each one of us to share the good news, but it doesn’t come easily to me. Matthew 16:15 and Psalm 96:3 are just two of many verses throughout the Bible that tell us to share and declare God’s glory. There are a million different ways to share God’s love with our neighbors and the world. Some people share their testimony—their own personal story of how God has come into their hearts and lives. Others share the love of God by making artwork or writing songs, dancing, writing letters, or finding ways to connect movie messages to scripture. For me, I first need to listen and affirm God’s presence. Psalm 46:10 says, Be still and know that I am God. Second, I pray—asking God for wisdom and guidance and the ability to be loving in my daily actions. Third, I try to connect with others through conversation, taking walks or sharing a meal. I ask them questions about their own lives, and I listen, really listen. In those moments, I try to be present and affirm the people I love or am learning to love. And I turn the rest over to God. Why should I share the good news of Jesus? How can I share the good news in a way that is authentic for me? Write: What is your faith story? Even if you have no intention of standing on stage and sharing it, you should spend time thinking about your story. You never know when you will be asked about why you believe in God. Sometimes when you express your faith story in writing, you are better able to share it with others in any number of situations. And if you are called to share it on stage or with a group, take the chance and do it! Create: Can you sing or dance or make art? Think of some way for you to shout the good news through your creative gifts. Subscribe: Daily Devo is designed to help busy families connect to the Bible and help them find ways to live out the gospel in their every day lives. You can find out more about Daily Devo or begin your subscription today by visiting www.ForwardMovement.org. Listen and sing along to this beloved song, and see if you don’t want to go shout out some good news about Jesus yourself! 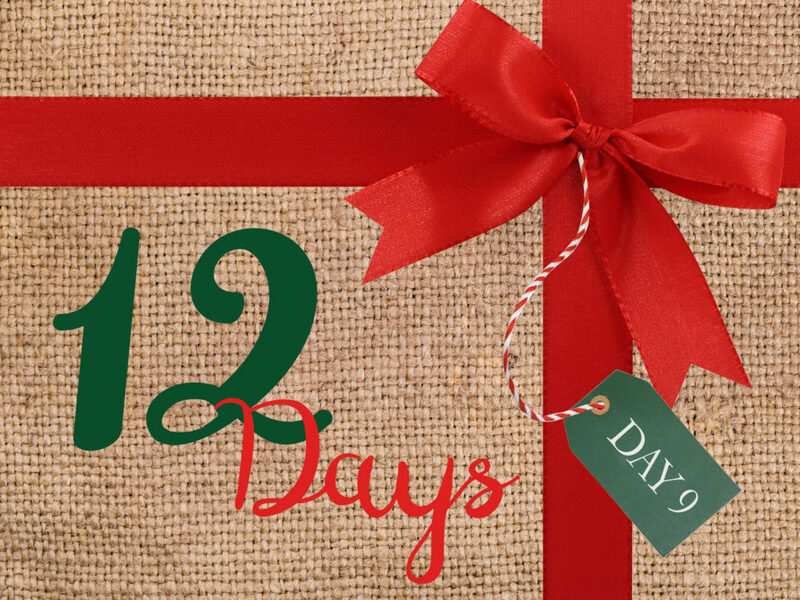 Sing along with the nine verses of our “12 Days of Christmas” song. Thank you for sharing your good news with me. Guide me to share your message with others. Help me to be an effective voice for your message and a powerful representation of you in this world. Amen. Read and reflect on these verses from the New Testament instructing us to share the gospel: Matthew 24:14; Matthew 28:19-20; Mark 16:15; 1 Corinthians 9:16; 1 Peter 3:15-16; Revelation 14:6-7. What way of sharing the good news is a stretch for you?